​​Binoculars that are always with you, no matter what you’re doing are practical. Binoculars that promise absolutely unrestricted viewing comfort are wonderful. But compact binoculars that also offer outstanding optical quality are simply brilliant. 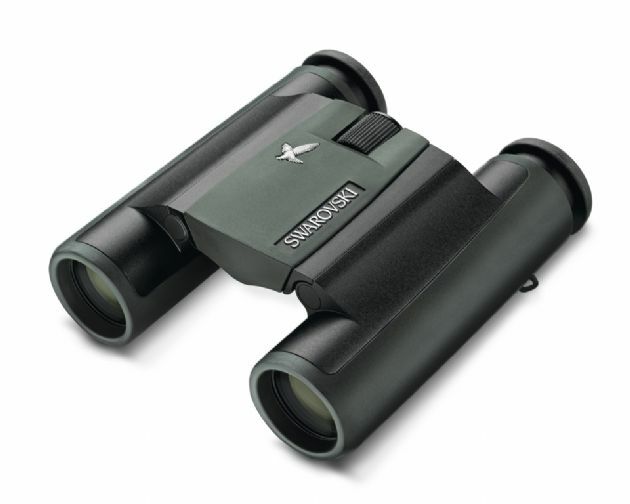 Just as brilliant as the new Swarovski CL Pocket 8x25 binoculars: 100% binoculars. Are you ready for spontaneous bird and nature watching? Thanks to the CL Pocket’s foldable bridge design you can easily take them everywhere you go, ready to full fill many requirements. They are always to hand since they are small enough to put them in your pocket. The CL Pocket binoculars are the right choice if you particularly appreciate compact size, a lightweight design, and value optical quality and precision of the highest order. Put the CL Pocket binoculars in your pocket and be ready for any bird or animal appearing spontaneously! When folded, the CL Pocket are compact binoculars, but, open them up, and they offer unique optical performance: high-contrast, sharp and colour-true images provide unforgettable viewing experiences. The ergonomic and robust design with aluminium housing ensures optimum viewing comfort even for eyeglass wearers due to twist-in eyecups. CL Pocket binoculars are intuitive to use, which, along with their outstanding optical and mechanical performance, was the key prerequisite when developing them. These binoculars are ideal as a pair for the car or the cabin, or when travelling. All you need to do is pick them up and enjoy the views they open up for you. CL Pocket binoculars are available in three colours: black, green, or sand-brown. The lens diameter is 25mm and they are available in a choice of two magnifications: 8x or 10x.